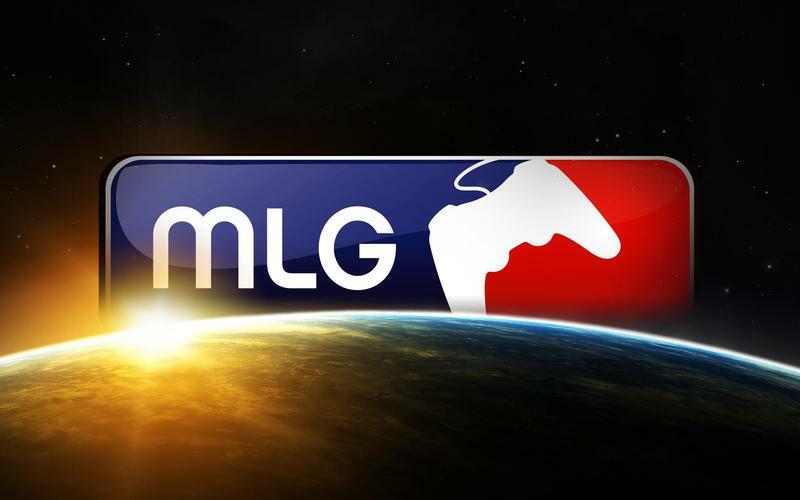 Major League Gaming has taken its online game broadcast to its own streaming network called MLG.TV. The new service will give a highly detailed look into the world of competitive gaming as it can stream resolutions of 1080p, and it gives audiences a convenient way to discuss the games with a new chat feature based on Twitter. A press release from MLG has the full details. "In its two-week pre-launch beta period, MLG.TV streamed over 1.3PB of video content globally experiencing over 1,000 percent growth in video consumption while maintaining over 95% fill rate in advertising – a strong validation of MLG's premium content and audience's value to advertisers. MLG's proprietary player features 1080p HD"
Most footage will be taken directly from the games themselves, but unlike traditional "Let's Play "services like Twitch and Ustream, MLG will feature professional players who compete for large sums of cold hard cash. "Based on years of research and first-hand experience with other streaming solutions, we built a platform from the ground up to deliver the viewing experiences that we and our partners create. The MLG.TV network and video player are architected to deliver the highest quality viewing experience possible, utilizing the most reliable streaming technology available." MLG.TV is now available at its official website, and as of now, a short delay is considered normal by representatives. Give it a few minutes, and watch the end of professional sports as we know it. Nothing screams competition like watching a live Call of Duty match. What do you think. Any interest in watch professional gamers win lots of money? Do you have what it takes to enter? NEW YORK – November 18, 2013: Major League Gaming (MLG), the global leader in eSports, today launched MLG.TV – a premium online video streaming platform for web and mobile. MLG's 10 years of experience in producing and live streaming the world's most prominent eSports competitions and massive growth in audience led to the release of MLG.TV, the company's own premier eSports broadcasting network. In its two-week pre-launch beta period, MLG.TV streamed over 1.3PB of video content globally experiencing over 1,000 percent growth in video consumption while maintaining over 95% fill rate in advertising – a strong validation of MLG's premium content and audience's value to advertisers. MLG's proprietary player features 1080p HD and a new Twitter-driven chat feature. The MLG.TV Twitter chat has already resulted in tune-in hashtags trending in the US on a daily basis. "MLG is one of the fastest growing premium content producers on the web with over 600% growth in audience over the last three years and a long history of driving industry-leading returns for major brand advertisers," said Sundance DiGiovanni, co-founder and CEO of MLG. "We leveraged our experience as a top online broadcaster to create the ultimate environment for not only our own content, but other industry leaders as well. Based on years of research and first-hand experience with other streaming solutions, we built a platform from the ground up to deliver the viewing experiences that we and our partners create. The MLG.TV network and video player are architected to deliver the highest quality viewing experience possible, utilizing the most reliable streaming technology available." MLG produces and distributes its own robust line up of eSports programming daily at MLG.TV. In addition to streaming league tournaments like the upcoming MLG Championship in Columbus, Ohio, from November 22-24, the company has unveiled new shows like "eSports Report" airing Thursday's at 7pm ET. MLG is driving appointment viewing on mobile and the web through a robust and growing programming schedule mirroring a live television viewing experience. The company has opened the platform to global influencers in the gaming world welcoming leading Call of Duty team OpTic Gaming and Gfinity, one of Europe's premier eSports leagues, who are producing event-driven, regularly scheduled programming on the MLG.TV network. The company plans to continue opening the platform up to a group of global eSports leaders and gaming personalities. "MLG's experience as the global leader in eSports made MLG.TV the definitive solution for distributing our special event content to our expansive global fan base," said Hector Rodriguez, owner of the OpTic Gaming Team and Organization which has millions of stream viewers and millions of followers via social media. "In the few weeks that we have been leveraging MLG.tv, our hashtag #OpTicGrind trended on Twitter nearly daily via MLG chat." Major League Gaming (MLG) is the global leader in eSports. The company operates MLG.tv, the #1 online broadcast network for professional level competitive gaming; the MLG Pro Circuit, the longest-running eSports league in North America; and MLG: Play, the largest cross platform online gaming tournament system with 8 million registered users across the globe. MLG is one of the fastest growing digital networks worldwide with over 600% growth in audience over the last three years. Each month, the company reaches millions of highly-engaged fans via web, mobile, connected TVs and gaming consoles making it the definitive property for major advertisers to reach young men (80% 16-34 year olds; 90% male, and over 40% HHI $100k+: Comscore). For more information: www.mlg.tv.